This is such a quick and simple desert to make, all that is required of you is that you chuck in all the ingredients in a bowl and stick it in the oven. This is my all time favorite desert and it can be prepared along with your meal and put in the oven after you are done with dinner. 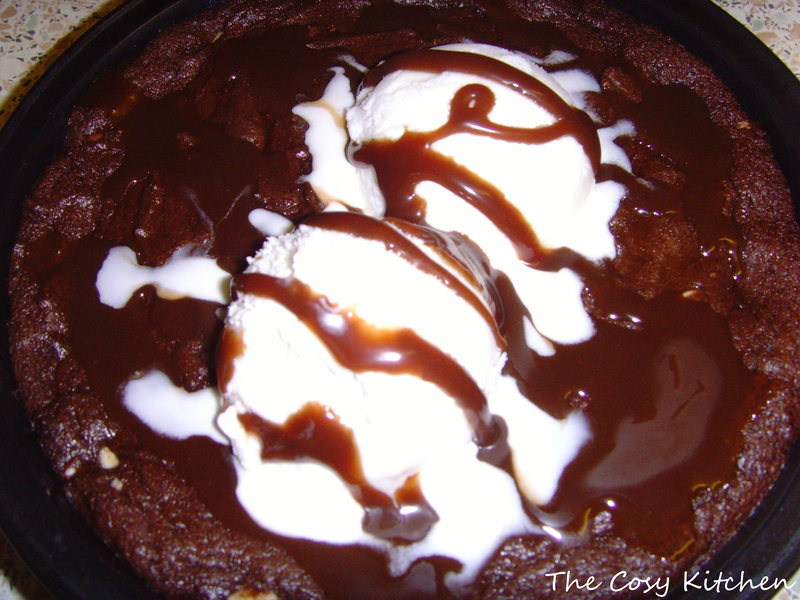 You cannot go wrong with this recipe (unless you leave it in too long and turn it in to a cookie then you can have cookie and ice cream which is pretty yummy)! The warm soft doughy-ness of the cookie dough tastes amazing with the cold ice cream and it’s definitely our go to for a speedy desert! 1. Cream butter and sugar until light and fluffy, then beat in vanilla extract and eggs. 2. In a separate bowl mix flour, cocoa and baking powder together. 3. Add flour mix to the creamed mixture in stages (a third at a time) and mix well. Fold in choc chips until combined. 4. 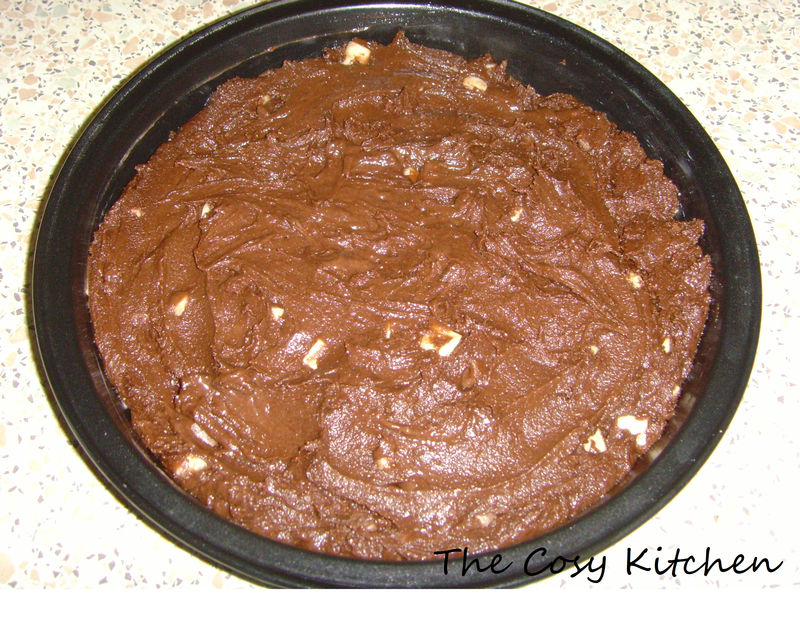 Fill shallow sandwich tin, place in pre-heated oven (gas 4) for 7-10 minutes. 5. When taken out the oven the mixture should me ever so slightly soft. Leave to cool and serve warm. 1. Fill saucepan with water and bring to the boil. 2. Place bowl with broken up milk chocolate pieces over the water. 3. Stir chocolate with wooden spoon until completely melted. 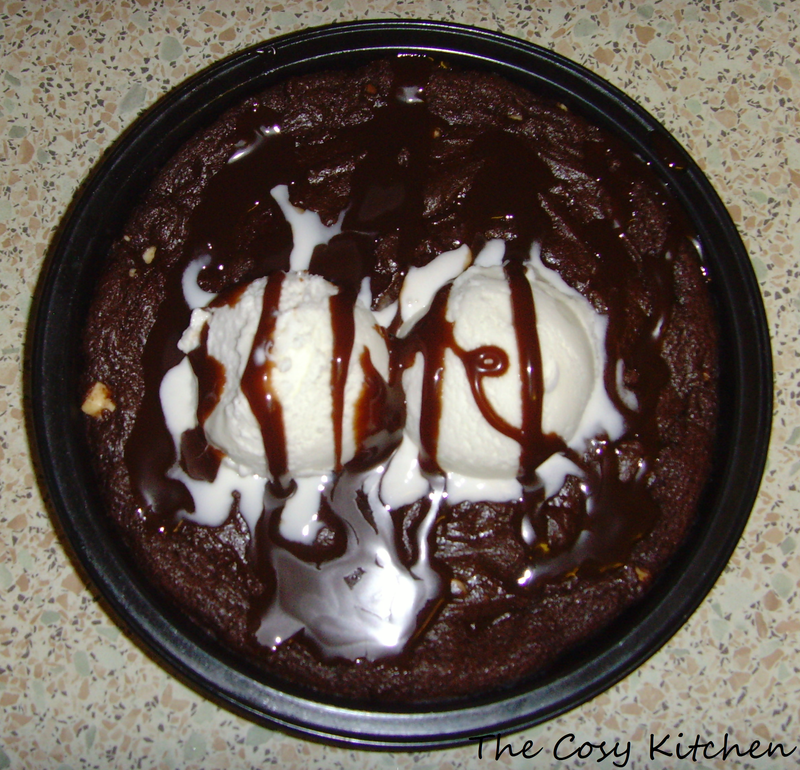 When ready to serve the war cookie dough, top with two soft scoop vanilla ice-cream (or what ever flavour you prefer or have) and drizzle warm melted chocolate on top. Very! Cannot go wrong with chocolate! Thank you! The simple things are always the best! Thank you! I hope you will give it a try! This looks terrific! AND it’s chocolate–whee! this looks incredible! i feel my eyeballs popping out of my head. did you come up with this yourself?